Bret Stephens is a columnist for the New York Times who previously worked at the Wall Street Journal and the neoconservative flagship magazine Commentary. A promoter of aggressive “pro-Israel” U.S. foreign policies, Stephens previously worked as editor of the rightist Jerusalem Post and appears regularly on Fox News. Stephens advocates views that are largely in line with the foreign policy agenda espoused by neoconservatives, particularly with respect to U.S. Middle East policy. He has often levelled harsh criticism at elected officials who differ with neoconservatives on Israel and the Middle East, including both Republicans and Democrats. Stephens’ concern for Israel goes beyond U.S. policy. In March 2019, as new elections in Israel drew closer, he made clear his hope that incumbent Prime Minister Benjamin Netanyahu would fall. Comparing Netanyahu to disgraced U.S. president Richard Nixon, Stephens acknowledged what he saw as Netanyahu’s achievements, but stated that “just as Nixon’s achievements in domestic and foreign policy were undone by skullduggery and paranoia, Netanyahu’s legacy has been permanently tarred by his apparent corruption, his appeals (or indifference) to bigotry and his demonization of his political opponents.” Oddly, Stephens went on to state that “with the creation of the first serious opposition party in a decade, Israelis have also shown that they are committed to competitive democratic institutions and a meaningful political alternative.” Stephens seemed to have simply forgotten that in 2015, the election in Israel was hotly contested, at least as much as the more recent one is, and that, while the prior election in 2013 had not featured a real rival (although even so, Netanyahu had been forced to form a coalition with a rival party to secure his victory), the one before it saw Netanyahu come in second to the Kadima party, although that party failed to form a governing coalition. Stephens frequently targets thjose who question the U.S.-Israel relationship. In March 2019, one of the first two Muslim women elected to Congress—Rep. Ilhan Omar (D-MN)—came under fire for alleged anti-Semitic remarks when she criticized the “Israel lobby” for stifling debate on U.S. policy in the Israel-Palestine conflict. While Omar’s defenders asserted that her words had been decontextualized and imbued with false meaning, critics, both Republican and Democrat, heaped accusations against her. Stephens has been using similar arguments for many years. In a May 2006 speech titled “Meet the Israel Lobby” at his alma mater the University of Chicago, Stephens took aim at noted international relations scholars Stephen Walt and John Mearsheimer for their controversial 2006 paper, “The Israel Lobby and U.S. Foreign Policy,” which argued that lobbyists who worked on Israel-related issues in the United States had undue influence over U.S. policy in the Middle East, to the detriment of the United States. Stephens bombastically exclaimed: “Let’s be clear: What professors Walt and Mearsheimer have produced under the guise of disinterested scholarship is a demagogic, disingenuous, distorted, bigoted, factually inaccurate, analytically flawed, and intellectually wretched piece of work.” It is an enduring peculiarity of the defenders of the one-sided U.S.-Israel relationship that they consistently fail to address the particulars of the criticisms of that relationship. At a March 2014 event at the New York-based Tikvah Fund—whose board has included figures like Elliott Abrams and Bill Kristol—Stephens compared the United States’ supposed “retreat” from the world to salted peanuts. “Henry Kissinger once had a wonderful line about retreat from Vietnam. He said, ‘It’s like salted peanuts.’ And so, once you embark on the process of retreat, it’s hard to know where to stop,” he opined. In an October 2014 column, Stephens lambasted Vice President Joe Biden and Secretary of State John Kerry for not publicly meeting with Israeli Defense Minister Moshe Yaalonduring his visit to Washington. “The good news here is that at least there’s one kind of quarantine this administration believes in. The bad news is that it seems to give more thought to pursuing personal vendettas against allies like Israel than it does to waging effective military campaigns against enemies like ISIS,” he declared. Stephens also strongly supported Israeli Prime Minister Benjamin Netanyahu’s controversial March 2015 speech to Congress. “The president collects hard favors from allies and repays them with neglect and derision. He is eager to accommodate the political needs of authoritarian leaders like Iran’s Hasan Rouhani but has no use for the political needs of elected leaders like Mr. Netanyahu,” he wrote in a February 2015 column for the Journal. Stephens strongly opposed the nuclear negotiations between Iran and the P5+1 world powers that resulted in a comprehensive nuclear agreement in July 2015. Having been a consistent and vocal critic of the deal and the process for getting there, he applauded President Trump for withdrawing from the pact in May 2018. In March 2015, Stephens wrote that “the deal being contemplated now … is neither prevention nor containment. It’s facilitation.” Stephens has argued that if the United States had pursued more aggressive policies towards Iran, a better deal could have been reached. “If you had, again, the kind of sanctions backed by a realistic threat of military force, then we could have had a much, much stronger deal,” he said in April 2015. However, in a December 2014 interview with the Weekly Standard, Stephens stated that he cannot see “any Iran deal” that he would be willing to support. “Iran will never agree to the only deal I would be able to support, which would be a complete and verifiable dismantlement of all nuclear capabilities along the lines of the terms imposed on Libya in 2003/04,” he opined. In March 2014, Stephens argued that religious considerations prevent Israel from agreeing to the formation of a Palestinian state in the Occupied Territories. “A Christian pastor [speaking at an AIPAC event] said, ‘The land was promised to Israel, therefore, I’m for it.’ That’s a consideration, by the way, when Israel considers the cost-benefit analysis of ceding land for so-called peace, remembering that one of the reasons that millions of Americans love Israel is because it has the land, not because it’s prepared to give it up,” Stephens declared. Wall Street Journal, Bret Stephens, http://topics.wsj.com/person/S/bret-stephens/5463. Wall Street Journal, “Press Room: Bret Stephens Will Speak at Symposium VI,” National Homeland Defense Foundation, March 5, 2008; Wall Street Journal, “Bret Stephens,” “Who We Are: Bret Stephens,” http://topics.wsj.com/person/S/bret-stephens/5463. Bret Stephens, “Rand Paul for President,” Wall Street Journal, April 14, 2014, http://online.wsj.com/news/articles/SB10001424052702303663604579501441901549788. Bret Stephens, “Meet the Israel Lobby,” University of Chicago, May 3, 2006, http://israel.uchicago.edu/bret_stephens_speech.pdf. Bret Stephens, “The Road to Tehran: Polite Society Helped Pave the Way for Iran’s Holocaust Conference,” Wall Street Journal, December 16, 2006. Lee Smith, “America in Retreat: The New Isolationism and the Coming World Disorder,” The Weekly Standard, December 8, 2014, http://www.weeklystandard.com/blogs/america-retreat-new-isolationism-and-coming-world-disorder_820771.html. Robert McFarlane, “BOOK REVIEW: ‘America in Retreat: The New Isolationism and the Coming Global Disorder’,” Washington Times, December 29, 2014, http://www.washingtontimes.com/news/2014/dec/29/book-review-america-in-retreat-the-new-isolationis/. Lauri Regan, “America in Retreat: The New Isolationism and the Coming Global Disorder—A Review,” American Thinker, November 18, 2014, http://www.americanthinker.com/articles/2014/11/emamerica_in_retreat_the_new_isolationism_and_the_coming_global_disorderem__a_review.html. Leon Hadar, “Neoconservatism’s Theory Gap,” The American Conservative, December 18, 2014, http://www.theamericanconservative.com/articles/neoconservatisms-theory-gap/. 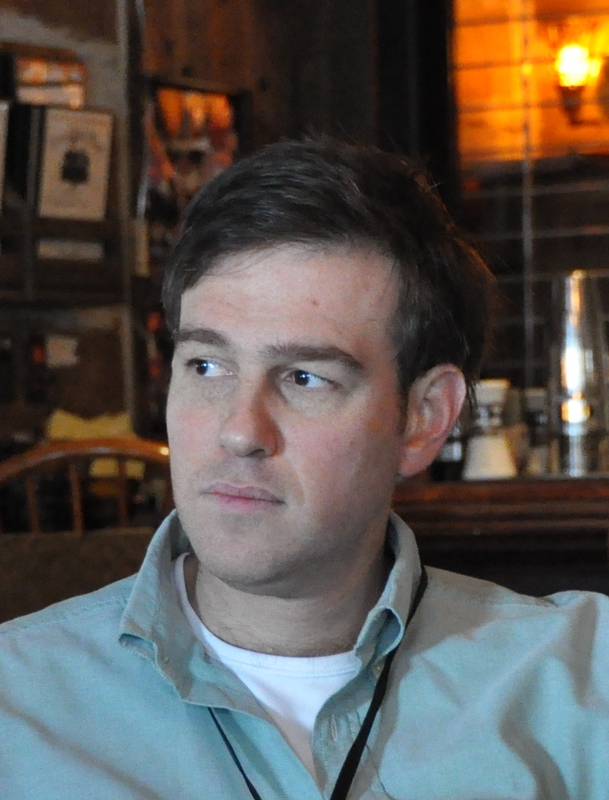 Eli Clifton, “Bret Stephens Dishes Candidly about Jews, Israel, and Withdrawal,” Lobelog, May 28, 2015, http://www.lobelog.com/bret-stephens-dishes-candidly-about-jews-israel-and-withdrawal/. Bret Stephens, “Bibi and Barack on the Rocks,” The Wall Street Journal, October 27, 2014, http://www.wsj.com/articles/bret-stephens-bibi-and-barack-on-the-rocks-1414451799. Bret Stephens, “A Speech Netanyahu Must Give,” The Wall Street Journal, February 2, 2015, http://www.wsj.com/articles/bret-stephens-a-speech-netanyahu-must-give-1422924115. Bret Stephens, “Israel and the Democrats,” The Wall Street Journal, March 2, 2015, http://www.wsj.com/articles/bret-stephens-israel-and-the-democrats-1425340271. Lee Smith, “America in Retreat: The New Isolationism and the Coming World Disorder,” The Weekly Standard, December 8, 2014, http://www.weeklystandard.com/blogs/america-retreat-new-isolationism-and-coming-world-disorder_820771.html?page=2. Hugh Hewitt, “The WSJ’s Bret Stephens On The Iran ‘Deal,’” April 7, 2015, http://www.hughhewitt.com/the-wsjs-bret-stephens-on-the-iran-deal/. Bret Stephens, “The Iran Deal’s Collapsing Rationale,” The Wall Street Journal, July 20, 2015, http://www.wsj.com/articles/the-iran-deals-collapsing-rationale-1437436211. “Hugh Hewitt interviews Bret Stephens about Ariel Sharon,” transcript posted on Kesher Talk, http://www.keshertalk.com/archives/2006/01/hugh_hewitt_int.php. Bret Stephens, “Chuck Hagel’s Jewish Problem,“ Wall Street Journal, December 167, 2012. Richard Cohen, “The Tarring of Chuck Hagel,” Washington Post, January 7, 2013. Emily Hauser, The Anti-Hagel Campaign Was Never About Israel,” Daily Beast, January 7, 2013, http://www.thedailybeast.com/articles/2013/01/07/the-anti-hagel-campaign-was-never-about-israel.html . 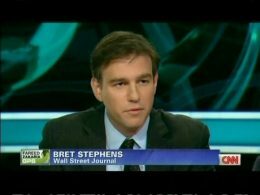 New York Times, Bret Stephens, https://www.nytimes.com/column/bret-stephens; Wall Street Journal, Bret Stephens, http://topics.wsj.com/person/S/bret-stephens/5463. Bret Stephens, “Rand Paul for President,” Wall Street Journal, April 14, 2014,http://online.wsj.com/news/articles/SB10001424052702303663604579501441901549788. Lee Smith, “America in Retreat: The New Isolationism and the Coming World Disorder,” The Weekly Standard, December 8, 2014,http://www.weeklystandard.com/blogs/america-retreat-new-isolationism-and-coming-world-disorder_820771.html. Robert McFarlane, “BOOK REVIEW: ‘America in Retreat: The New Isolationism and the Coming Global Disorder’,” Washington Times, December 29, 2014,http://www.washingtontimes.com/news/2014/dec/29/book-review-america-in-retreat-the-new-isolationis/. Lauri Regan, “America in Retreat: The New Isolationism and the Coming Global Disorder—A Review,” American Thinker, November 18, 2014,http://www.americanthinker.com/articles/2014/11/emamerica_in_retreat_the_new_isolationism_and_the_coming_global_disorderem__a_review.html. Leon Hadar, “Neoconservatism’s Theory Gap,” The American Conservative, December 18, 2014,http://www.theamericanconservative.com/articles/neoconservatisms-theory-gap/. Lee Smith, “America in Retreat: The New Isolationism and the Coming World Disorder,” The Weekly Standard, December 8, 2014,http://www.weeklystandard.com/blogs/america-retreat-new-isolationism-and-coming-world-disorder_820771.html?page=2. “Hugh Hewitt interviews Bret Stephens about Ariel Sharon,” transcript posted on Kesher Talk,http://www.keshertalk.com/archives/2006/01/hugh_hewitt_int.php. Emily Hauser, The Anti-Hagel Campaign Was Never About Israel,” Daily Beast, January 7, 2013, http://www.thedailybeast.com/articles/2013/01/07/the-anti-hagel-campaign-was-never-about-israel.html.